offers you the chance to explore its many curiosities. 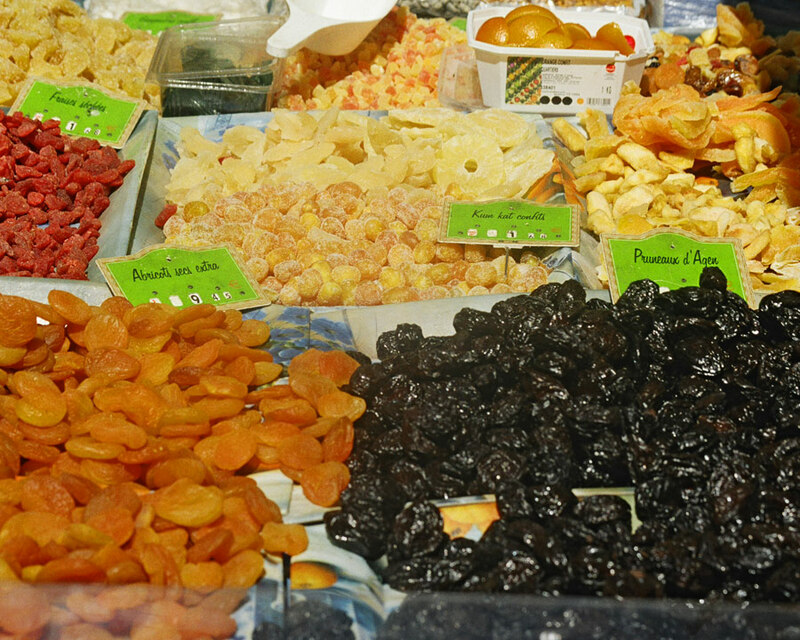 Every Tuesday afternoon in July and August a local market is held with all its regional specialties. 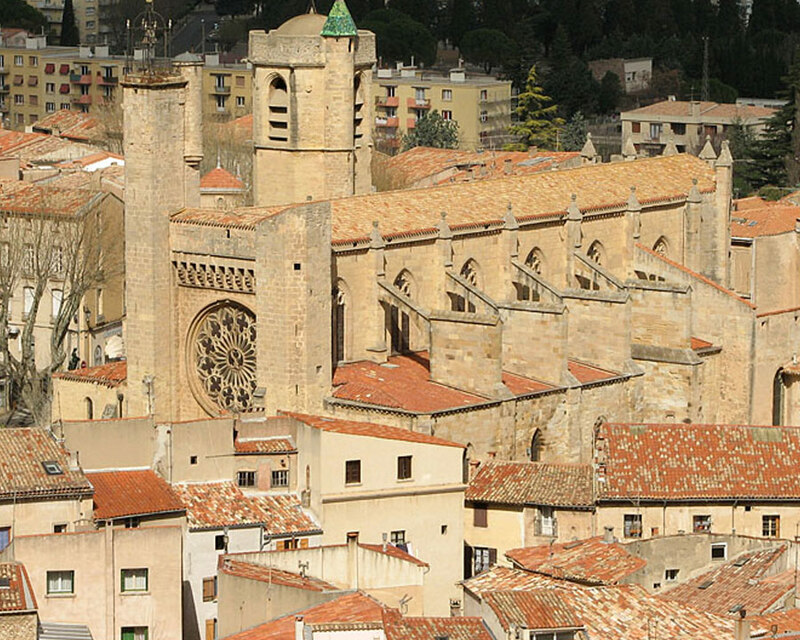 For art lovers, the museum of Lodève offers numerous exhibitions. Every Saturday morning there is the market, a real blend of scents and colors. 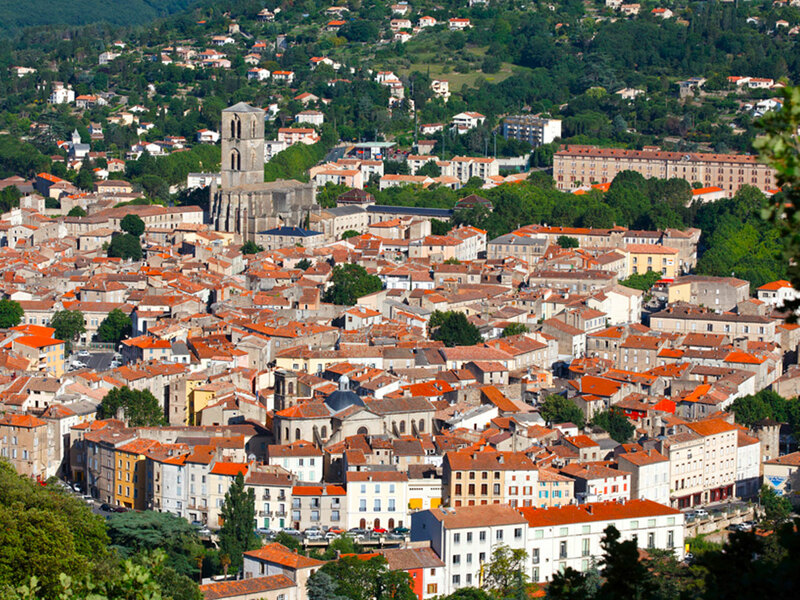 12 km away, the current layout of the city of Villeneuvette dates back 300 years. Founded in 1673 by a Clemont merchant, the factory received royal approval under Louis XIV and between 1720 and 1750 was dedicated entirely to the manufacture of fine, brightly colored linen. There is a French ornate garden with a water feature giving the attraction a new lease of life. In the 19th century, the owners, entrepreneurs who had come from the Languedoc, specialized in army clothing. There was a strict work ethos, symbolized by the inscription above the door "honor to work". 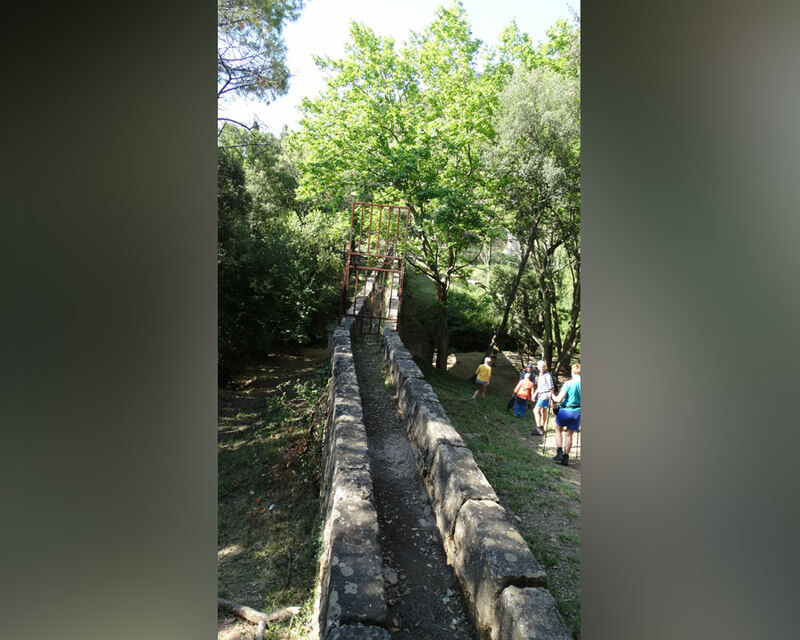 The majority of the old buildings as well as the garden, the large pond and the pine forest were acquired by the Department of Hérault in 1989 and are the subject of investigations prior to their development in relation to Villeneuvette municipality. Visitor will see that the convivial and peaceful character that reigns in this small city is due in part to the care taken in renovating the buildings and public spaces but also to the respect paid to the site's history. 2 kms from the campsite, this village offers you an assortment of eateries (snack bars, pizzerias, restaurants, table d'hôte). There is also a café with a billiards room, as well as a grocery ... and all the amenities you could need. 15 km from the campsite you will find shops, banks, supermarkets, McDonalds , a post office, pharmacy, doctors etc .... A splendid market full of summer colors awaits you every Wednesday morning. 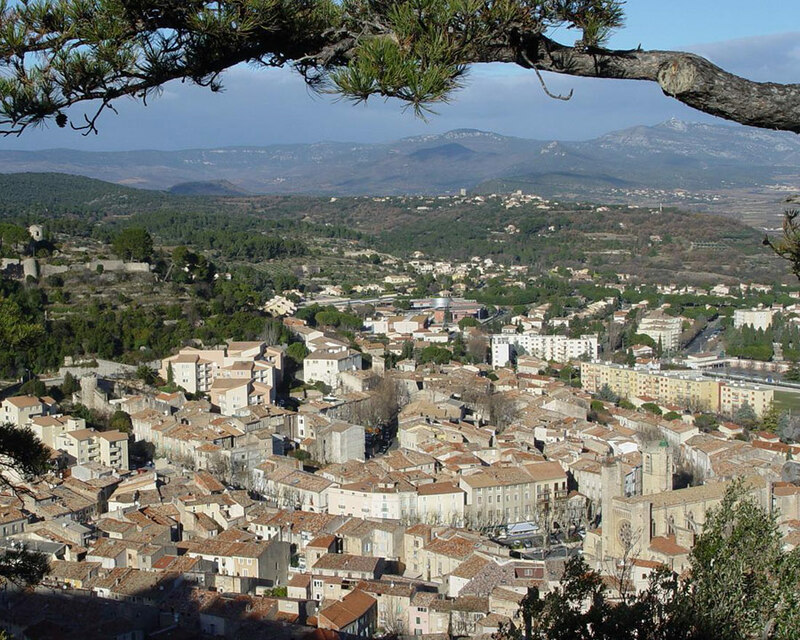 Clermont l'Hérault is located in the center of the Hérault department (34 France), 40 km from the regional capital Montpellier, 30 minutes from the Mediterranean. 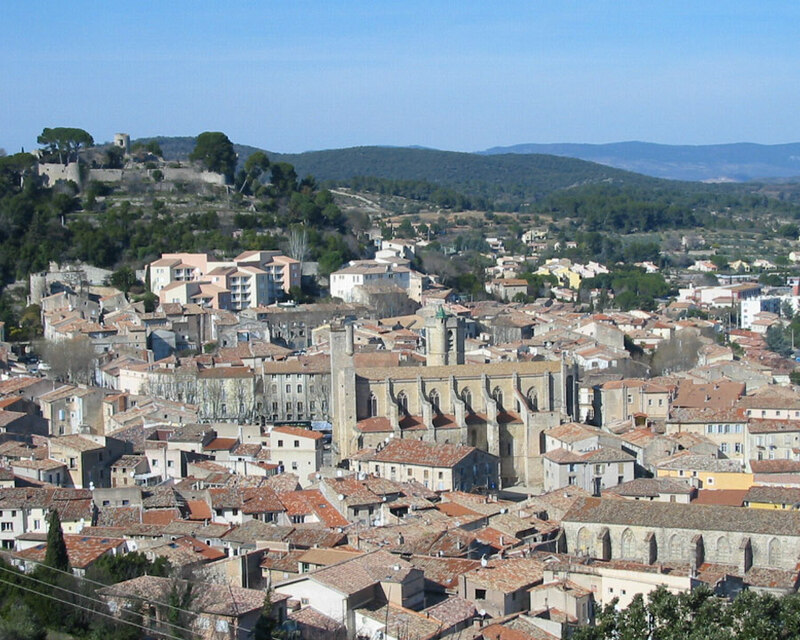 Since Roman times, Clermont has been strategically placed in economic and commercial terms due to its privileged location in the heart of the Hérault. It is situated at a crossroad where several key roads meet and this has allowed for both economic and demographic expansion. 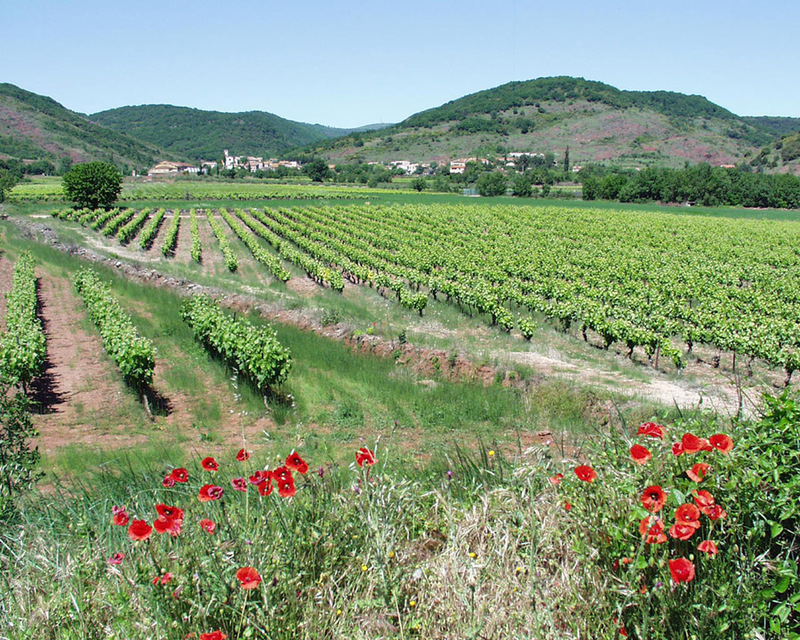 Clermont became the table wine capital at the end of the 19th and beginning of the 20th century, before becoming an olive-growing town (there has been a cooperative oil mill here since 1922) and a wine-growing estate. 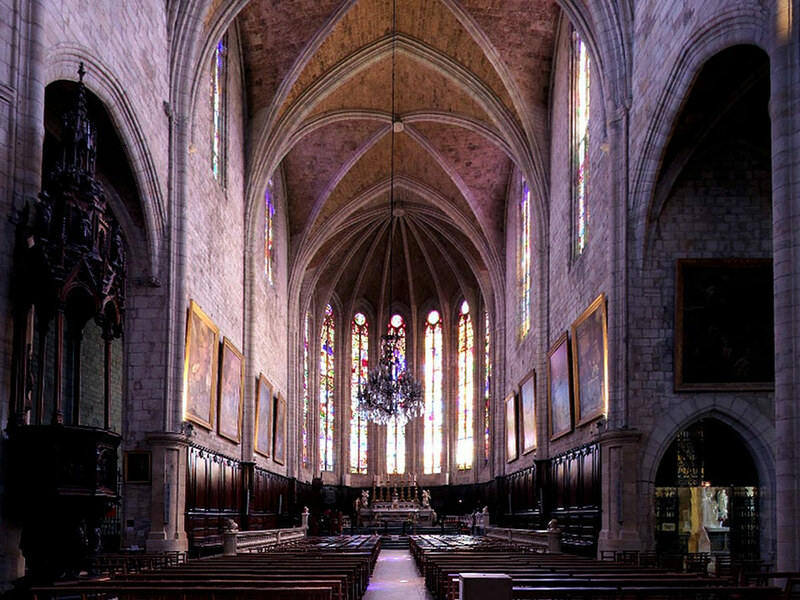 The city was built on the side of a hill where you can find the remains of a 12th century castle as well as a typical Gothic church of the 13th century. The town is crossed by a small stream that used to be used for the drapery industry. 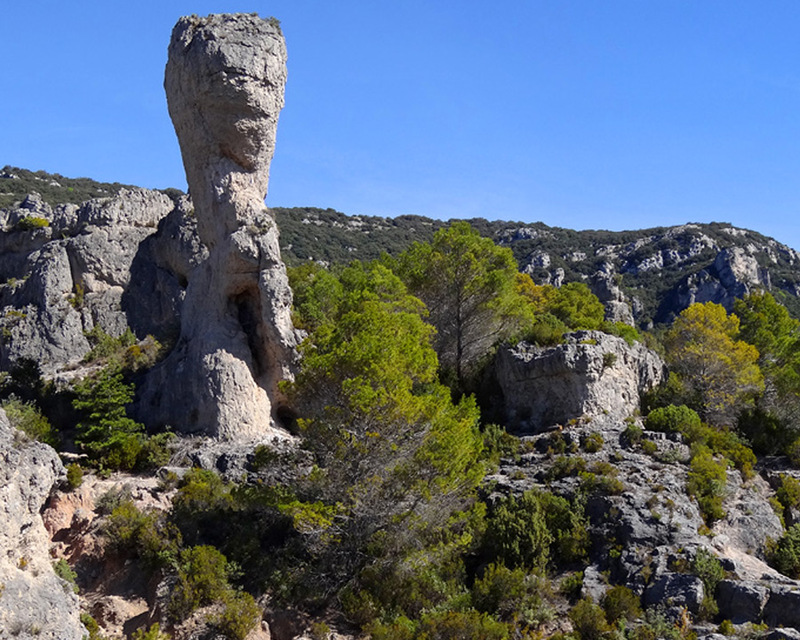 8 Km away you will find an astonishing landscape of oddly shaped rocks. This natural phenomenon is the result of combined wind and rain erosion on the dolomite rock. 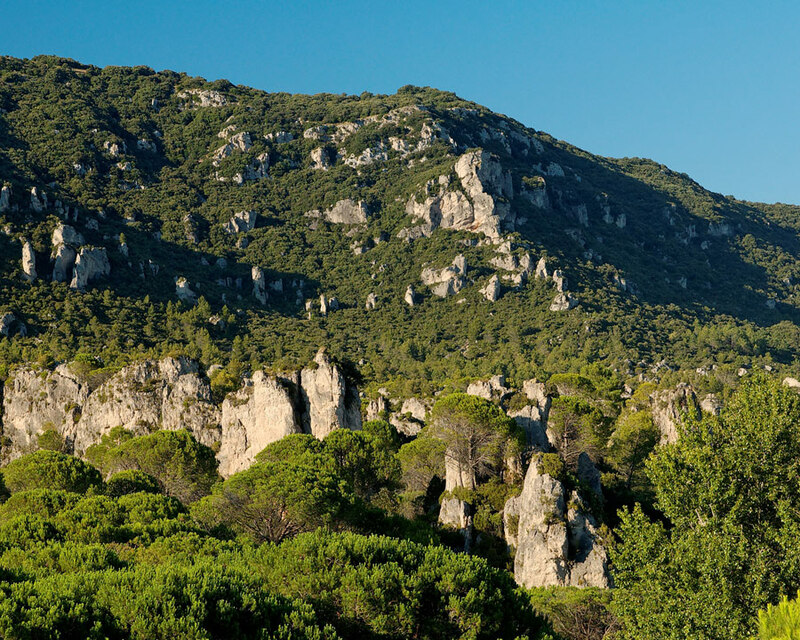 Between Clermont l'Hérault, Bédarieux and Lodève, the medieval village of Mourèze is surrounded by 300 hectares of rocky chaos shaped by erosion and designated as the most important dolomite site in France. 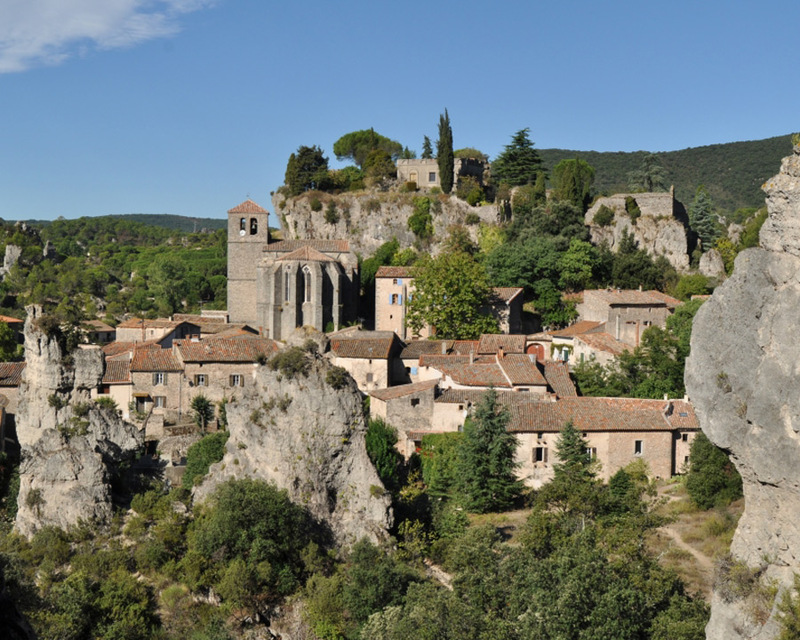 As well as the discovery of its 12th-century church of Sainte-Marie, Mourèze offers you a maze of alleyways from which paths will take you to see the defiant stone giants There are some lovely places to hike too. 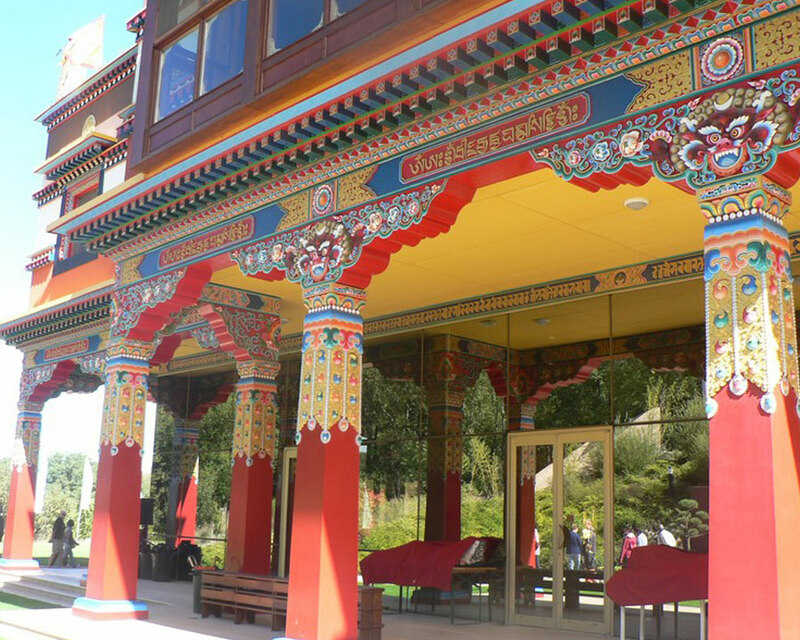 Lerab Ling is one of the main centers perpetuating the tradition of studying and practicing Tibetan Buddhism in Europe. 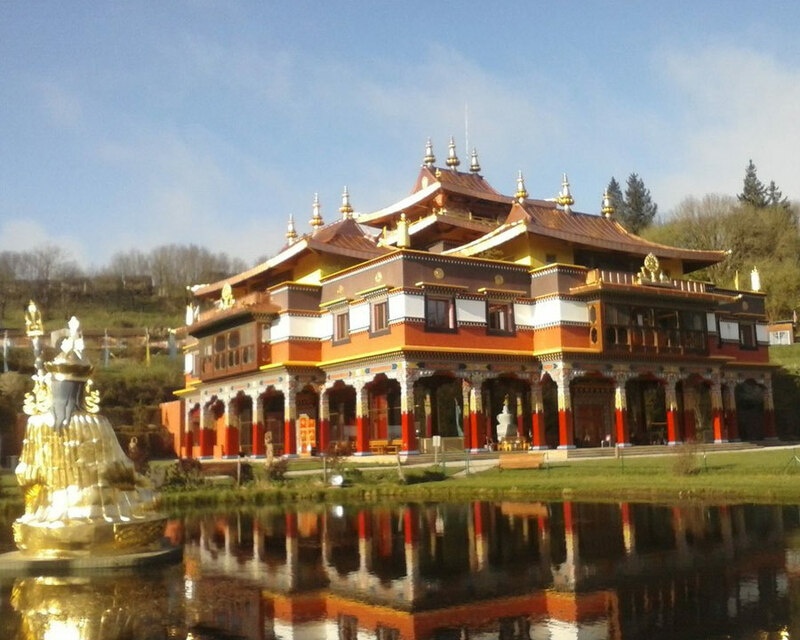 Blessed by the visit of many great masters of the Tibetan Buddhist tradition and especially by His Holiness the Dalai Lama on two occasions in 2000 and 2008, Lerab Ling is now recognized as one of the main centers of study and practice of Tibetan Buddhism in Europe. Nowadays, we recognize that spiritual development is not merely a luxury, but a pure and simple necessity for our survival. In order to have the necessary tools to face the challenges of life, to find happiness and to understand and transform the mind, we are increasingly seeing an almost desperate thirst and a universal need to have a spiritual vision. 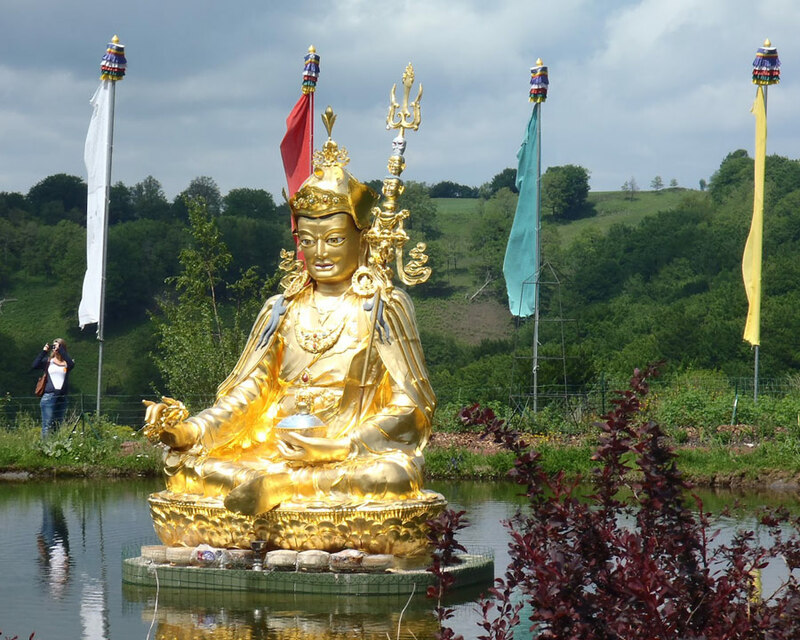 In a remarkable natural setting, you can visit a magnificent Buddhist temple which is open to the public from April to October.